France is the World’s most popular tourist destination. And it only takes a few moments reflection to understand why; there really is something for everyone. And when it comes to archaeology and art, France has more than its fair share of iconic sites, from Stone Age cave paintings in the Dordogne, to the decorated Neolithic passage tomb of Gavrinis in Brittany, the colourful Medieval cathedral in Amiens, and everyone’s favourite Impressionist artist’s house and garden in Normandy. In a few days, 1 June to be precise, I shall be starting a fourteen-day tour of the ‘Artistic & Architectural Splendours of France’. Fourteen days is just about enough time to scratch the surface of France’s cultural heritage, but this particular tour does its best to provide both depth and breadth – just have a look at the itinerary. Day One and the tour starts at the Royal Palace of Versailles – the seat of political power from 1682 until the royal family was forced to return to Paris in October 1789 at the start of the French Revolution. We then move on to Chartres Cathedral, said to be the finest Gothic building in France, and still with its original stained glass windows. Having overnighted nearby, Day Two takes in the spectacularly situated castle of Chenonceau – this is the Medieval castle that straddles the Cher River. 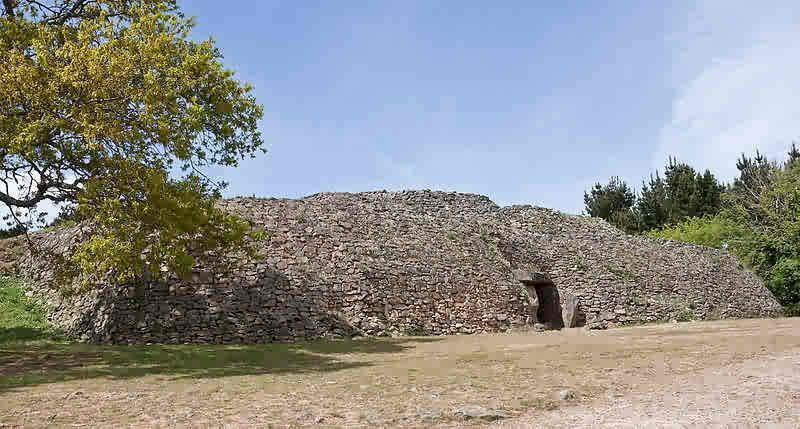 Then it is back in time a few thousand years, well many thousands of years in fact, to Les Eyzies – once described as the prehistory capital of the World. 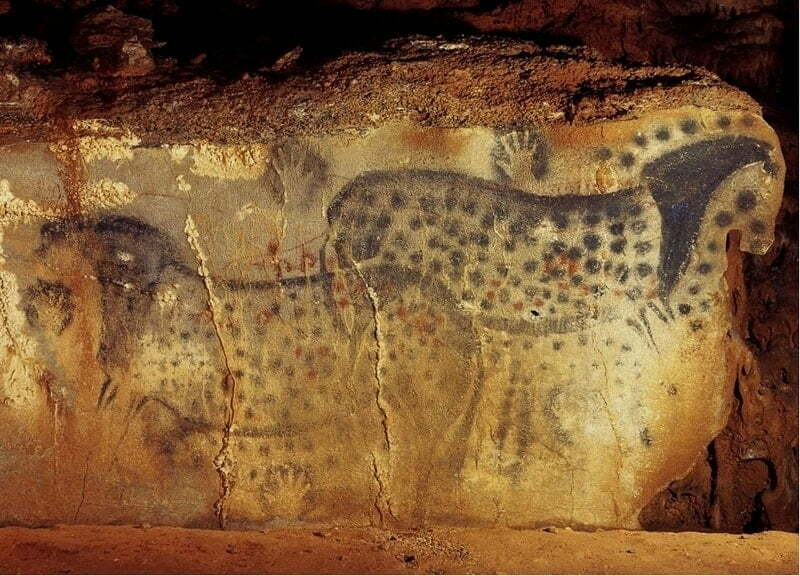 Days Three and Four will be spent visiting just a few of the decorated caves, including Font-de-Gaume, Rouffignac and the replica of Lascaux. Day Five is a break from prehistory to explore the Medieval towns of Sarlat and Beynac. It was in Beynac that Chocolat was filmed. 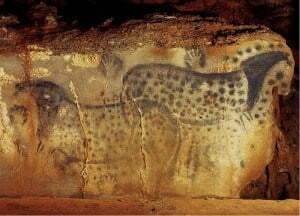 Day Six and back to prehistory and the caves of Pech Merle and Cougnac. We overnight in the town of Rocamadour, that Medieval town that is built into the side of the cliffs. This is as far south as the tour goes, Day Seven and we return to the Loire Valley, staying near the castle of Saumur. Taking advantage of all that is on offer in the Loire Valley, Day Eight is a break from culture. After a morning of wine tasting, we spend the afternoon on a boat on the Loire River. On Day Nine we move west to southern Brittany, and the monuments of France’s Neolithic farmers. First up, the enigmatic stone alignments at Carnac, and then on Day Ten a boat ride to the decorated passage tomb of Gavrinis. An early start on Day Eleven to beat the crowds at Mont Saint Michel – the most visited attraction outside of Paris. After this well known Medieval Abbey it is on to the so-called Bayeaux Tapestry, which is in fact an embroidery. Day Twelve is all about Claude Monet, beginning in Rouen – where he made the cathedral famous – and ending in Giverny and his well known garden and the water-lily ponds he created. On Day Thirteen we follow in the footsteps on Monet along the Normandy coastline, from Dieppe to Etretat. It was along this stretch of coast, with its dramatic white chalk cliffs that Monet and a number of other Impressionist artists painted what are now some of the most popular impressionist canvases. The final day, Day Fourteen, is a finale indeed. The tour ends in the city of Amiens, home of Jules Verne – author of Around the World in Eighty Days. It is also the location of the tallest complete cathedral in France. During renovation works here it was discovered that the statues on the façade of the cathedral were painted in Medieval times, when the cathedral was built. 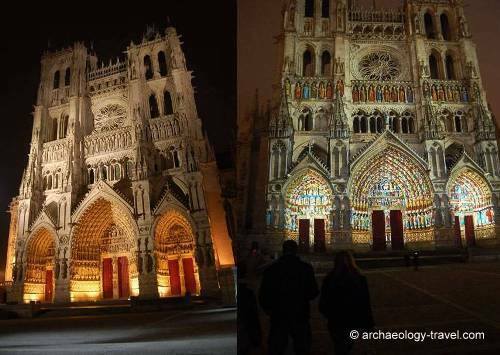 During summer, a sound and light show attempts to recreate what the front of the cathedral might have looked like when it was coloured. La Cathédrale d’Amiens en Couleur.